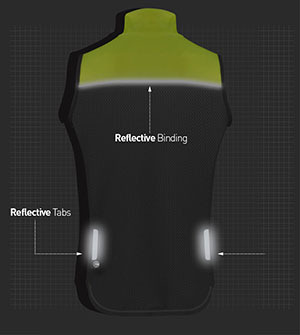 Need a simple way to be seen while cycling? 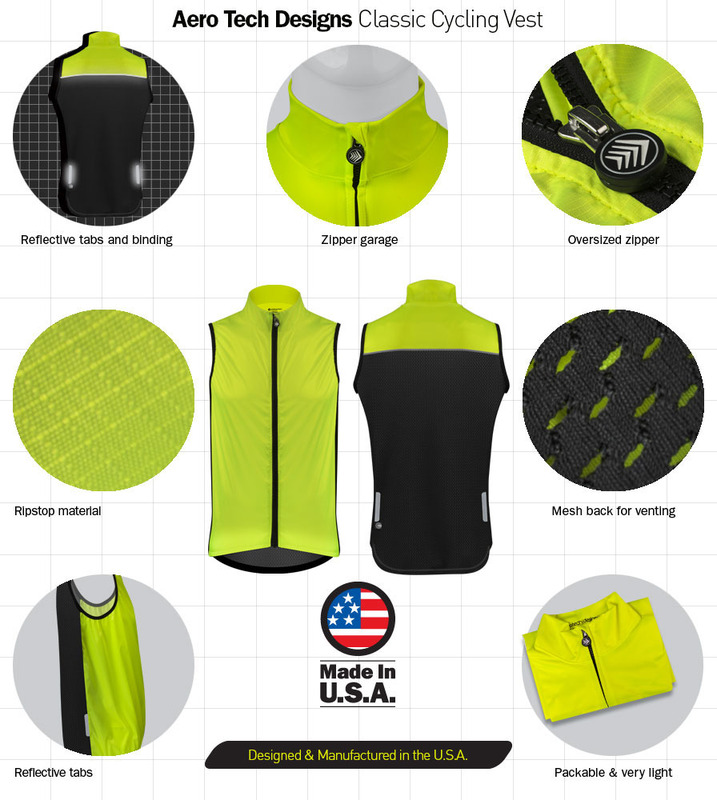 Check out this classic cycling vest designed and manufactured in our facility right here in the USA! 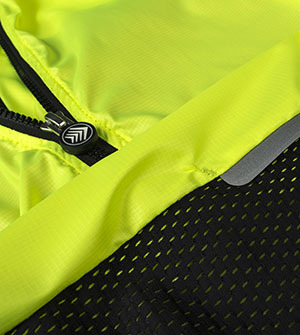 This full-zip cycling vest uses a DWR-treated ripstop material for the front panels that help to block the wind. The back has a black mesh lining to allow sweat and excess body heat to evaporate. 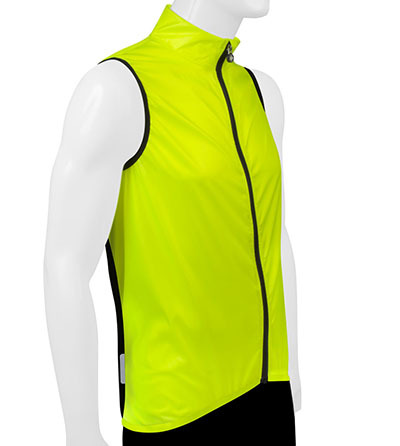 The bright neon yellow color and 3M reflective elements (two tabs and a thin piping on the back) on the back give this vest high visibility. 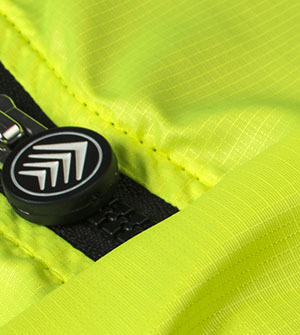 The vest is easy to pack, lightweight, and uses an oversized YKK zipper tab for easy use. A small zipper garage is included to minimize abrasions. * Designed & manufactured in the U.S.A.
good materials and construction, unfussy zipper, quick in-country delivery. High quality. The Aerotech Design products are so fantastic that i purchase them out of France.